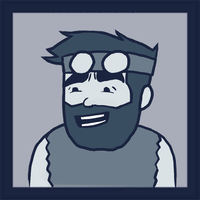 Difference between revisions of "Justin"
'''HCJustin''' is a regular player of [[URealms Live]]. '''HCJustin''' was a regular player of [[URealms Live]] from Seasons 1-3. "Doesn't say wow as much as you are led to believe." HCJustin was a regular player of URealms Live from Seasons 1-3. Rob has said that Justin is like a big teddy bear, being quiet most of the time, but delivering the best punchlines. Justin claimed during the Band of Thieves Character Creation that his last name is Justin. Justin streams frequently on his Twitch channel which includes a variety of games. Justin used to stream a talkshow called "Tuesday Talk Stuff" after a URealms Live Campaign, where he, and a couple of the other Players would discuss the Campaign, and maybe even reveal something about the next Campaign. There is a reoccurring joke that Justin will never be the leader of a campaign because he was "skipped" to be a leader in The Many Gobos of Pat. Although there is no real order given for leaders, the three campaigns before The Many Gobos of Pat had the other three players be the leaders of their own respective campaign. Justin finally got to be the leader in The Zarlin Catacombs. There is a recurring joke that Justin has no honor, stemming on an episode of the Buffalo Wizards' Trouble in Terrorist Town playthrough where Justin recounts a story of a man telling him that he has no honor for not participating in a game. Justin is the first player to officially switch sides in combat, due to one of his previous characters, Bob being on the enemy side. Justin had a character with Coin of Providence 5 of 6 possible times in Season 1. The only time was in Silvermine Mountains which had no treasure or shops. Justin has known Rob since he was 16. Justin has a streak of characters who hold records for most damage done in a single turn. The first character to achieve this record was Thea Mazing, who dealt 110 damage in one turn (80 from a critical Fireball hitting three enemy dwarves and her husband Lester, and 30 right afterwards from a regular and critical fireball on a fleeing enemy dwarf). The next character to achieve this record was Tennís, with the help of Nathaniel Granger's Spirit Rush, using Whirlwind with his Greatsword against 4 enemies 4 times, and against 3 enemies 1 time, to deal a total of 180 damage. Jebediah was the penultimate character to break this record--he did 9999 damage in one turn with the legendary spell Empahvision. However, the latest character to break this record was David Jerry, who unleashed a whopping 19998 damage with a combination of Empahvision from his Scroll of Destiny and his Obsessive attribute that doubled his damage. Justin has been in several major tournaments run by Twitch for the game Player Unknown's Battle Grounds.